An acrylic globe is an acrylic or poly-carbonate plastic sphere, streetlamp, cube, cylinder, or special shape with accessories designed for aftermarket distribution. Diffuser Specialist offers a wide variety of American made plastic enclosures designed to fit your project’s specific needs. 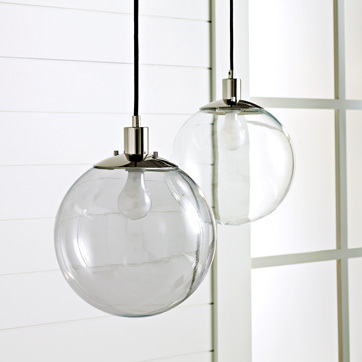 To order acrylic globes from Diffuser Specialist simply fill out the form on this page. A highly trained member of our team will be in touch shortly to complete your order. No credit card information is necessary and your contact information will not be shared. Made out of a variety of materials & in various sizes. Can’t find the one you’re looking for? Get in touch, we’ll find it for you. Download, save and print product spec sheets for your convenience. Polycarbonate is a superior engineering plastic material for extreme requirements. UV Stabilized to ensure a long life. The high continuous working temperature of up to 257° F (125° C) even under extreme environmental conditions, allows the installation of lamps with a high wattage. Acrylic is a material with unsurpassed resistance to weathering and aging. Acrylic has an exceptional brilliance, which does not diminish even after prolonged use- thanks to an optimum surface hardness. Diffuser Specialist is your "one source" for fluorescent light covers, light fixture parts, and replacement lens products. Our warehouse is fully stocked and our staff fully trained to give you the best service, period! Give us a call and we'll find it for you. Our warehouse is always fully stocked and if we don't have it - we'll custom produce it for you. That's why we're #1 for ceiling light covers. We're new to social media networks... Show us your support! Why not? We love to give our website visitors something more. Visit our blog where you'll find free education on everything light related and great ideas for lighting in your favorite interiors and exteriors.